Most of these are hand curated, but some are from wallpaper dumps I found online (e.g. from r/wallpapers). Some of these don’t suit my taste or are mildly inappropriate. I would like to get rid of those images. Though Mac allows you to change the desktop every X minutes, it does not provide an easy way of mapping back a wallpaper to the file it was from. I got quite annoyed by this, and created this small app to fix the problem for myself. 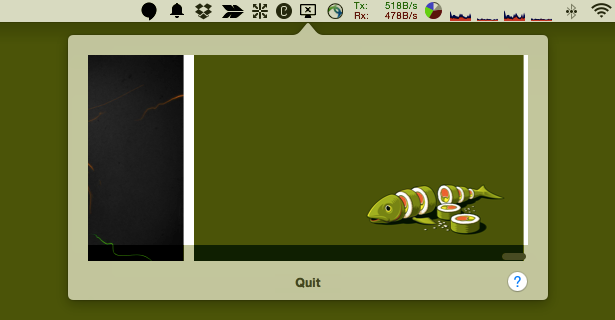 It is a small Mac app I wrote which should show you the currently active wallpapers (for all the monitors). It does that by reading an sqlite file where OSX (Yosemite+) saves the currently active wallpapers. 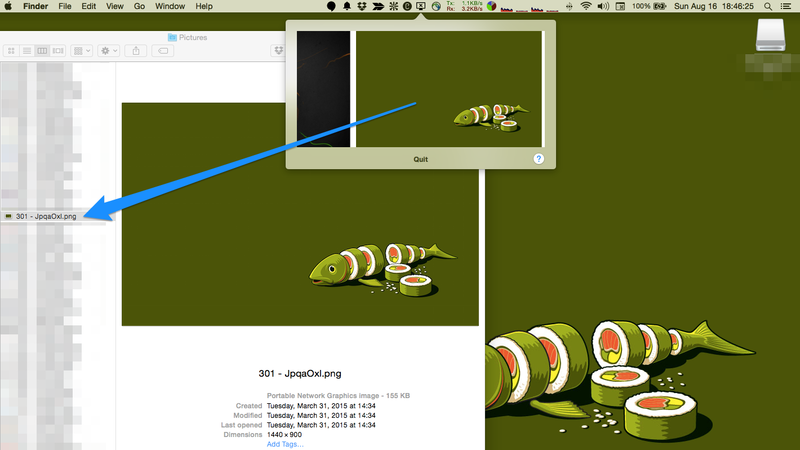 Upon subsequent clicks, it’ll re-use the same Finder window, if open. musically-ut/WhichBG: WhichBG is written entirely in Swift.